I – like most Atlanta residents – am a transplant to this great city; I moved here after graduating in 2008 (rough times) with my now husband to start my career and a life together. Over the last seven years, I have seen Atlanta grow exponentially, much in part to our booming start up community, top-ranked universities and an uptick in film and TV production that is beginning to rival L.A. Unfortunately for Atlanta, since the economy has rebounded, other growing cities are starting to attract who would have been post-grad Atlanta transplants. Luckily, for Atlanta, we have a kick-a$$ Chamber that’s doing something about it. An approachable and action-oriented value proposition: Imagine a city where anyone can feel at home. Imagine that one of the best cities to start a business is also one of the best cities to start a family. Discover people like you who chose Atlanta. Explore featured places throughout the area. Find amazing businesses and career opportunities. 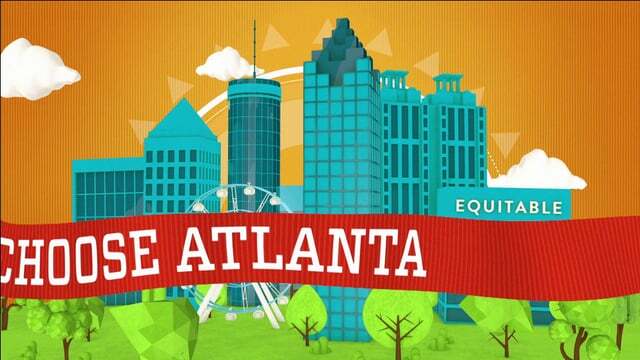 ChooseATL—it will surprise you. 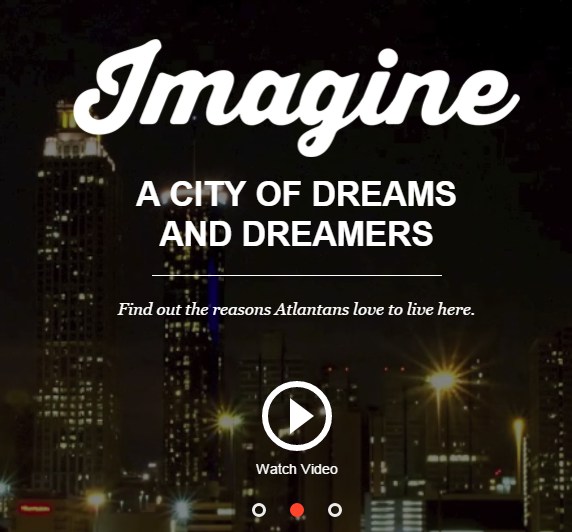 Rich testimonials from current Atlanta residents about why they chose and continue to choose Atlanta as their home; the images that support the testimonials are warm and natural and the supporting text is succinct yet explanatory. 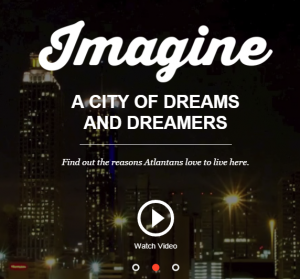 A content strategy that includes engaging videos and blog posts highlighting what Atlanta has to offer in the life portion of the work/life balance equation. 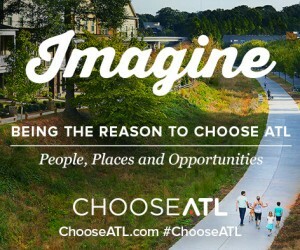 An integrated social media strategy with a community hashtag (#ChooseATL); the chamber shares pre-planned content through their social channels and also encourages Atlanta residents to tag images of their day-to-day life in Atlanta to add authentic user-generated-content (UGC) to the campaign. A clean and easy-to-navigate job search experience. The bread and butter of any talent attraction strategy is a simple and effective job search feature. While ChooseATL does not maintain their own ATS, they are providing a clean interface that aggregates and displays jobs in an easy-to-consume way as part of their overall approach to branding. The second component of the campaign is a targeted media plan that sends display and video ads to prospective young professionals looking to change jobs or launch their career in the next 12 months. These ads not only target young talent in the Atlanta market but also nine other markets where desirable talent currently lives. What I love about this media strategy is that the Chamber is not posting and praying, they are using data to make informed decisions about what competing cities to target – those locations that have the talent Atlanta needs. This approach is very effective when you need to hire volume, and with tools like Supply and Demand or Wanted Analytics (my team uses S&D) you can do this, too! 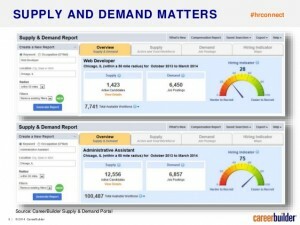 Both tools allow you to quickly run reports that show you available talent in the market you’re hiring in, but also run reports in alternate markets to determine which are the most flush with the talent you are trying to reach. 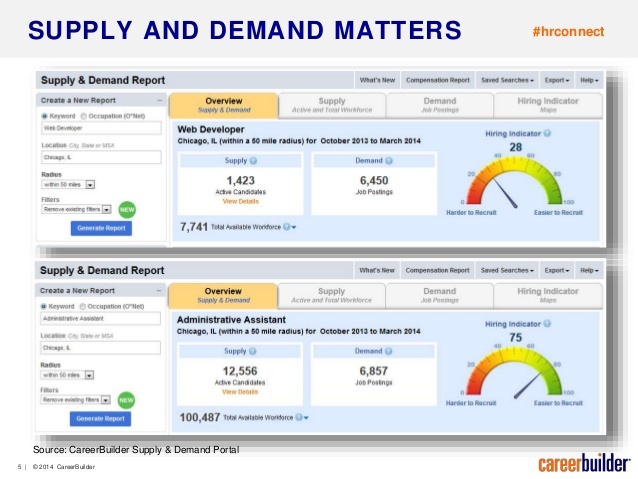 After you determine which locations have the most qualified supply to meet your demand, you can then open multiple evergreen requisitions under those locations to support your targeted media plan vs. only opening one req in the city the new hires will reside in. Take a tip from the ATL, and choose to not post and pray with a comprehensive talent attraction campaign. FOT Note: This post is sponsored by the good folks at CareerBuilder.com, who care so much about the world of recruiting and human resources that they’ve become an annual sponsor at FOT. Here’s where it gets good: As part of the CareerBuilder sponsorship, FOT contributors get to write anything we want on a monthly basis, and CareerBuilder doesn’t get to review it. We’re also doing a monthly podcast called the “Post and Pray Podcast,” which is also sponsored by CareerBuilder. Good times.